A beautiful setting, stellar schools, and safe neighborhoods are just some of the reasons that Roscoe, Illinois is undergoing a period of robust growth. Recent additions like the Hidden Creek and Promontory Ridge housing developments have helped the family-oriented community nearly double its population over the last decade. Residents of Roscoe are also within close proximity to Axberg. We provide expert plumbing, electric, and HVAC services throughout Illinois. If you’re wondering where you can find an HVAC contractor, electrician, or plumber “near me,” give Axberg a call! For more information on the services we offer, or to schedule HVAC, plumbing, or electrical services in Roscoe, give us a call now at (815) 873-6003 or contact us online! If you’re in need of heating and cooling repair, replacement, installation, or maintenance services, look no further than the team of experts at Axberg. Our contractors are trained on the best and most efficient methods to complete your HVAC job. We can do it all, from furnace repair and heating installation, to any other heating and cooling issue you may have. When your furnace or air conditioner is malfunctioning, we can send one of our HVAC contractors to assess your unit, diagnose the problem, and determine if your unit should be repaired or replaced. They’re then able to either perform necessary HVAC repairs or help you pick out a new unit that best fits your needs. We can work with all types of air conditioning and heating systems. We also offer expert HVAC maintenance services. The best way to keep your HVAC system in good condition is to schedule maintenance once before heating season and once before cooling season. Our technicians can make small repairs, replace parts, and do other things required to keep your unit working efficiently. Check out our HVAC contractor reviews! Looking for “residential HVAC contractors near me?” Call (815) 873-6003 today to learn more about our Roscoe AC repair and the other HVAC services we offer. To learn more about our electricians in Roscoe, contact Axberg today! When you’re faced with a plumbing problem, it oftentimes can’t wait. That’s why we offer 24-hour emergency plumbing services to those in the Roscoe area. If you desperately need plumbing assistance on a weekend, a holiday, or at 3 am, don’t hesitate to give Axberg a call. Are you asking yourself, “Where can I find plumbers near me?” Give Axberg a call now at (815) 873-6003! At Axberg, we strive to provide the most efficient, thorough services to residents throughout the Roscoe area. If you’re looking for expert plumbers, electricians, and HVAC technicians to put you first, look no further. We put our customers first and won’t leave until the job is done and you’re more than satisfied with the result. To schedule a service, give us a call now at (815) 873-6003 or contact us online! We service Roscoe, Belvidere, ROockford, and the surrounding areas! Very pleased with Axberg they showed up early and solved the problem quickly. Our plumber Kevin was outstanding and answered all of my questions. Will use again. I would like to thank Axberg for helping me out in an unexpected situation! Our water heater 'went out' during the holiday chaos that was ensuing in our house, and Axberg came to assess the situation. Kevin helped determine that it needed to be replaced, that it was under warranty and instructed me on next steps to take care of. I called the manufacturer, as he stated, and was told I needed to get the water heater to the place of purchase to have exchanged. (what?!) Kevin was great! He and his helper came to my house, disconnected my water heater, took it to the store for me, picked up the new one, and installed it for me no questions asked. They were both fantastic!! They even instructed me on anything I needed to know about the new water heater going forward. Thank you so much for taking care of my stressful situation! Always great service from Mark! Mark was informative and efficient, great job!!!!!!!!! We discovered a leak in our furnace, which was only a year old, and got a quick response. After the initial service call we noticed the leak had not been remedied so called for another service call. Mark did an excellent job finding the source of the leak and remedying the problem. He fully explained the problem and was very professional and friendly. Absolutely would use again for plumbing work. We found our gas stove shutoff valve was leaking at 4pm on a Saturday. Called Axberg, and Jason arrived about 8:30pm(they were very busy that night). Within 30 minutes, he had replaced the bad valve, found out why one of our stove burners wouldn't ignite every time, and helped us get our recalcitrant furnace lit again. He was conscientious, polite, and didn't waste any time fixing our problem. For an overtime call, I felt the charges were reasonable. Would absolutely use Axberg again. Ross came to our home to see about water leaking from our April Air humidifier. We decided to wait for the service since it wasn't an emergency. He didn't try to encourage us to do something that could wait. Thanks Ross!!! Greg was polite and efficient. I hope I get him whenever I need Axberg’s services! Had an immediate need, since we had to turn off the water because of a bad leak. Axberg responded within hours and fixed the problem. Evaluated problem. Gave solid recommendations to fix problem. 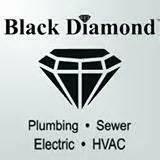 Expedited repairs and service with other Black Diamond divisions to my great convenience given other time demands in the next 10 days. Highest praise. Disappointing - did not that enough time was spent inspecting the unit. Last inspection took more than an hour. Have not received copy of inspection performed on our air conditioning unit, cannot respond to quality of inspection without seeing report. Very little time taken to inspect unit/system. Repair frozen and burst pipe.